Anzio[ˈantsjo] is a city and comune on the coast of the Lazio region of Italy, about 51 kilometres (32 mi) south of Rome. 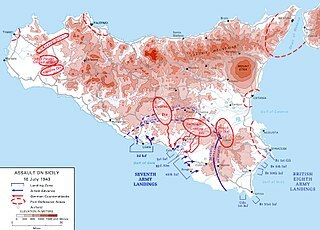 The brigade as a formation, was not involved in Operation Husky, the Allied invasion of Sicily, but 40 RM Commando was involved in the assault landings as Army Troops. In Operation Shingle, the assault at Anzio, No. 9 (Army) Commando and No. 43 (Royal Marine) Commando were the only units involved. The whole brigade would be involved in the final offensive of the Italian Campaign. 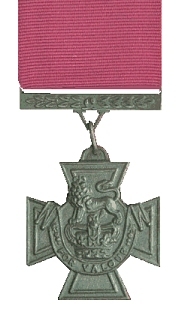 In 1945 the brigade was involved in the Lake Comacchio battle, Operation Roast, where Corporal Thomas Peck Hunter of 43 Commando was posthumously awarded the Victoria Cross for conspicuous Gallantry in single-handedly clearing a farmstead housing three Spandau machine guns after charging across 200 metres of open ground firing his Bren gun from the hip, then moving to an exposed position to draw fire away from his comrades by engaging further Spandaus entrenched on the far side of the canal. After Operation Roast the brigade was involved in the follow-up actions until the German surrender. Brigadier Ronald John Frederick "Ronnie" Tod CBE, DSO & Bar was a British Army officer who was instrumental in the development of the British Commandos during the Second World War.